Home DIY's	Classic Bride + FiftyFlowers = A Beautiful DIY Peony Bouquet! 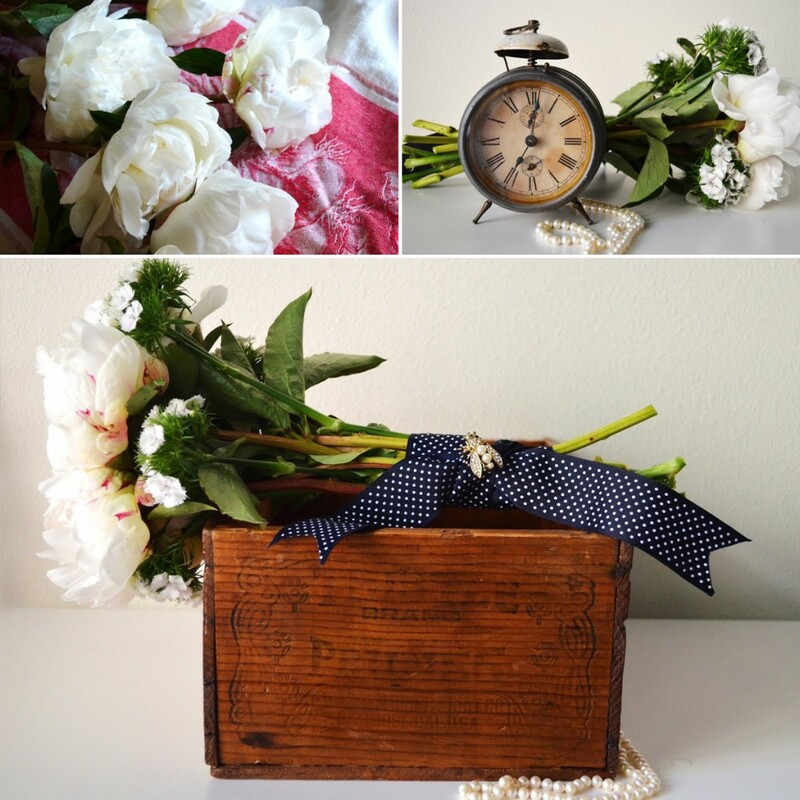 We recently teamed up with our friend Sarah, of Classic Bride Blog, to do a Fun, Floral How-To Week! Sarah spent the week featuring lots of fun DIY Flower projects on her preppy wedding blog, including a beautiful bouquet, several easy centerpiece ideas and a gorgeous flowering display, all using stunning white peonies and a gorgeous green filler pack from FiftyFlowers. And now, starting today and over the next few weeks, I will share each one of her amazing projects with you! Check out all the DIY Steps on the Classic Bride Blog! And stay tuned for more Flower Fun to come! Ready to re-create the look? Check out our White Peonies and our Green Textured Filler Flower Pack at FiftyFlowers.com. Fun Spring Garden Romance DIY Wedding!